The tremendous efforts that have been required of the state of Israel to keep Jerusalem united and maintain its Jewish majority have been aimed at realizing the Jewish people’s historical and religious right to the city. At the same time, from the practical standpoint, on which this work concentrates, an effort must be made to address the demographic problem – not through a division – so as to forestall the real security danger to Jerusalem that would result from its division. This chapter deals with that danger. The main consideration on the Israeli side, which was prepared for a division but demanded a clear-cut border, was the security issue and the desire to ensure the safety of the Jewish citizens. The main consideration on the Palestinian side, which agreed to a division but asked to maintain an open city, was the desire to retain the economic advantages of an open city for the Palestinian residents, while also establishing Palestinian sovereignty in the eastern part of the city and making Jerusalem the capital of Palestine. Along with those two possibilities – a definite border or an open city – others were raised, such as a supervised border with free passage only for pedestrians, or a combined border: open within the city and closed outside of it. Former U.S. President Bill Clinton, who mediated between the sides in 2001, favored the idea of an open and “breathing” city. Many on the Israeli left also supported versions of a separation, involving, on the one hand, a division of powers and sovereignty, and on the other, the drawing of a border that would be open to Jews and Arabs, without a physical separation or enclosures to divide the two populations. 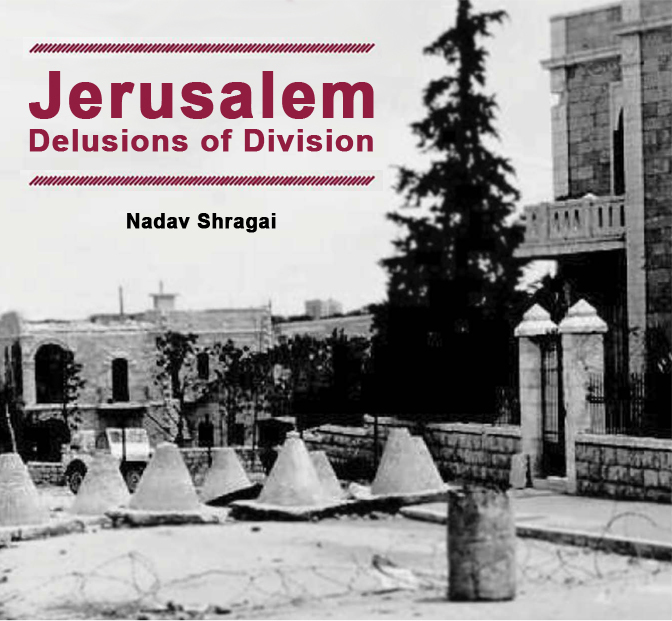 Thus, the first basic assumption of this work is that, as in most of the versions of “separation,” those favoring a division would prefer a division of authority and sovereignty while establishing a border that is open to Jews and Arabs. The jurisdictional boundary of Jerusalem, whether or not there is a division and a “separation” from Arab neighborhoods, will also become the state of Israel’s border with the Palestinian Authority, or the Palestinian state, unlike in the current situation where the border is more outlying. In light of past experience, it is inevitable that the establishment and implementation of a line of division – even if it is supposedly an open border – will bring into the Jewish part of the city Palestinian residents who will want to live there. These Palestinians will fear the loss of rights, benefits, and freedoms that are granted them today because of their status as residents and because they live within the sovereign territory of the state of Israel. These residents (as noted above) are entitled, based on their status as residents, to move and live within the boundaries of the western part of the city and also within Israeli territory in general. Over the years, even in periods of limited security cooperation with Israel, the PA has glorified terror and suicide bombers while failing to act against extreme incitement within its territory, which denies both Israel’s legitimacy as the state of the Jewish people and its existence.6 The glorification of terror and overt expressions of sympathy for Hamas and Islamic Jihad terror attacks in daily life, the media, academia, government, and among PA clerics were constant, and have been officially documented by Israel; the records take up entire folders and shelves. Thorough documentation of these phenomena is available to all on the Palestinian Media Watch website. Even when the PA’s security mechanisms showed readiness to act against the attacks and stop terror and shooting at Israel – and there were also such periods – it was done only partially. Sometimes the reason was a lack of operational capacity, but mostly it stemmed from internal factors: a desire to maintain a relationship with the opposition organizations, especially Hamas, and to preserve minimal internal unity among the Palestinians. In 2007, for example, after several shooting attacks on Israelis by members of the PA security mechanisms (for example, the murder of Ido Zoldan, a resident of Shavei Shomron), Ashraf al-Ajrami, the PA’s minister of prisoner affairs, declared that “the PA does not control some of the Palestinian policemen.”7 As noted, however, usually the problem was not a lack of control but of desire, or only a partial desire. Although the PA fights terror on the West Bank, we ourselves do most of the work because nothing has changed in the Palestinians’ basic view that terror is legitimate. At the same time, it is not at the top of their concerns at the moment. Unlike Arafat, who saw terror as a legitimate activity, Abu Mazen [i.e., Mahmoud Abbas] thinks terror, such as suicide bombings, is of no benefit. He appreciates those who engage in it but thinks it is of no benefit. There is no assurance that establishing a Palestinian state would change these tendencies like a magic wand. For example, at present the Palestinian education system, media, shapers of culture, and opponents of an agreement doggedly cultivate – and may well continue to in the future – the ethos of return.10 Even after Mahmoud Abbas’s much-touted interview to Israel’s Channel 2 Television in 2012, in which he said he would want to visit Safed, the city where he was born, but not live there because it is part of Israel, he hastened to retract his words. Abbas then clarified that he had expressed a personal attitude but had not ceded the Palestinian people’s right of return. Both Abbas and his associates tried to explain that his words had been taken out of context and presented only in part. Abbas’s spokesman also said that a Palestinian interview is not the same as negotiations and that it was aimed at influencing Israeli public opinion.11 Even if one assumes that Abbas retracted his statement because of the criticism, it raises questions: if Abbas or others in the PA were given a demand to give up the “right of return” in Jerusalem, how would they withstand the pressures of many elements among the Palestinians who would not give up this right? An incident in Jordan in the summer of 1999 further signified that the Palestinians have not given up “Arab property” in west Jerusalem. In August that year, an organization called the Council of the Jerusalem Bodies in Jordan was founded in the kingdom to represent all former residents of Jerusalem who live in Amman, the Jordanian capital. During the inauguration of the council, a “pact of honor” was presented that was signed by thousands who said they were former residents of Jerusalem. One of the articles of the pact states that “the Jerusalemites adhere to the right of return to Jerusalem and its suburbs and to opposition to bargaining over this right.” Another article of the pact speaks of “complete rejection of the ruse of compensations for the property, instead of return.”15 Although this is not an official body, its existence is consistent with past declarations by representatives of Jerusalem in the Palestinian parliament, such as Abdel-Kader Eid and other PA spokesmen. These realities mean we must ask ourselves a question, one that directly concerns the issue of daily security in Jerusalem: if, in the future, the leadership of the Palestinian state seeks more than a sovereign, independent state whose capital is east Jerusalem, and, even after that achievement, keeps pursuing the Phased Plan, what risks would be entailed for Israel, in general, and in a divided Jerusalem, in particular? Even if a credible partner should be established beside Israel, trustworthy and with a proven ability to implement commitments, Israel would have to include adequate security precautions – for a “rainy day” – in any arrangement for Jerusalem, taking into account that the reality could change again. Hamas has already taken over Gaza and has attempted to set up terror infrastructures in the West Bank and carry out a coup there as well. The Palestinian population’s support for Hamas and for terror is evident in declarations by Hamas’s spokesmen, in its platform and numerous publications, but also in repeated surveys of the Palestinians, even after particularly horrific terror attacks. A survey published in the New York Times in March 2008 showed that an overwhelming majority of PA citizens – 84 percent – approved of the terror attack on the Mercaz Harav Yeshiva in Jerusalem, in which eight high school students were murdered.23 A 2009 survey by the Hebrew University’s Harry S Truman Research Institute for the Advancement of Peace, in cooperation with the Palestinian Center for Policy and Survey Research, found that 54 percent of the Palestinians supported terror attacks.24 In March 2011, 32 percent of the Palestinians expressed support for the murder of five members of the Fogel family in the settlement of Itamar.25 The Palestinian Center for Policy and Survey Research found that 80 percent of the Palestinians supported terror attacks in Jerusalem during the 2014 “Jerusalem Intifada.”26 Those attacks included the massacre at the synagogue in the Har Nof neighborhood in November 2014. The ambiguity, casuistry, and deception entailed in the “moderate” Palestinian stance, which requires our great caution, particularly on the Jerusalem issue, was well summed up by Brig.-Gen. (res.) Kuperwasser. He made his statements from a special setting: the witness stand of the Jerusalem District Court. In January 2013, in the framework of a lawsuit filed by families who had been bereaved by Palestinian terror, which was arbitrated by Judge Moshe Drori, Kuperwasser gave his testimony against the PA. The families wanted the court to recognize its responsibility for these attacks. Kuperwasser’s testimony focused on the period of the Second Intifada, the PA’s abetting and involvement in it, and on background factors that persist – as he noted – to this day and concern the PA’s real intentions regarding Israel and its future. Judge Drori noted to Kuperwasser that notwithstanding his statements, from time to time the Palestinians make use of the expression “two states for two peoples,” though they do not renounce the “right of return.” He wondered how this fact comports with his thesis. Thus, a division of Jerusalem – at a time when a large proportion of the Palestinians have not given up the “right of return,” support terror, and view agreements with Israel as only an initial stage of conquering additional land through terror – would be an extraordinarily dangerous and irresponsible act. That is even more the case in light of past experience, regarding both statements and intentions of the Palestinians and reality on the ground, particularly of late in Jerusalem where the status of Fatah, the movement led by PA Chairman Abbas, has weakened significantly. Its role as the dominant actor has been taken by two movements, Hamas and Hizb ut-Tahrir, that are explicitly jihadist. Whereas Hamas, which is particularly strong in southern Jerusalem neighborhoods, views jihad as an immediate duty for each individual, Hizb ut-Tahrir regards jihad as a national duty to be enacted only after a Muslim caliphate is established. Along with those two, the northern branch of the Israeli Islamic Movement continues to operate in Jerusalem and particularly on the Temple Mount, and it, too, has been bolstering its status in the city. The years 2013 and 2014 also saw the beginnings of Al-Qaeda and Islamic Jihad activity in Jerusalem. Jerusalem – as a symbol and a focal point of national and religious conflict between Jews and Arabs – has been a preferred target for terror attacks since 1967.29 Since the Six‑Day War, hundreds of terror attacks have occurred in the city that have killed or injured thousands of Israeli citizens, the overwhelming majority of them Jews. Over the past decade and a half, two waves of violence and terror that concentrated on Jerusalem have been the “Jerusalem Intifada” and the Second Intifada, which was launched at the start of the 2000s and lasted several years. In the “Jerusalem Intifada” (July-November 2014), the war of stones, firebombs, firecrackers, arson, and severe incitement was also accompanied by real terror attacks: vehicle rammings, stabbings, and shootings. The second half of 2014 saw over 10,000 incidents of attacks against Jews in the city with the former weapons, and dozens of attacks with the latter kinds. Ten Israelis were murdered. Dozens were wounded. Most of the violent incidents initiated by the Palestinians occurred along the seam line and in mixed areas. In the second half of 2014, Hadassah Hospital on Mount Scopus and the light rail, whose route passes through the Arab neighborhoods of Shuafat and Beit Hanina in northern Jerusalem, were attacked repeatedly with stones and firebombs. At the height of the attacks on the light rail, passengers’ movement was much reduced especially in northern Jerusalem, and only 15 out of 23 trains continued to operate. At the end of August the newspaper Yediot Yerushalayim reported that, over a-month-and-a-half, there had been 70 recorded incidents of throwing stones and firebombs at the light rail, or an average of two such incidents per day.31 Damage to the light rail’s infrastructure in the Beit Hanina vicinity and to the train cars themselves had cost the concessionaire of the light rail, CityPass, tens of millions of shekels.32 Jews were also attacked in the Old City, the City of David/Silwan, French Hill, Armon Hanatziv, Wadi Joz, Maale Hazeitim (beside Ras al-Amud), and on the Temple Mount, which became a hub of incitement and agitation with verbal and physical violence directed at Jewish visitors. At the apex of the wave of violence, terrorists attacked worshippers at the synagogue in Har Nof with guns and axes, murdering four and a policeman. Shots were occasionally fired from Shuafat at nearby homes in Pisgat Ze’ev. A gas station in French Hill was attacked and completely destroyed, a community center was set ablaze, Hamas and Islamic State flags were raised on the Temple Mount, and hired individuals from the northern branch of the Israeli Islamic Movement disrupted and even prevented visits by Jews to the site. On Meir Nakar Street in Armon Hanatziv, the windows of Jewish homes adjacent to the Jebel Mukaber village were shattered repeatedly.33 Jerusalem’s economy, including tourism, was hit hard.34 Patterns of normalization, intermingling, and cooperation between Jews and Arabs were also damaged (see, later in the chapter, the section on “The Significance of Division: The Municipal Aspect”). After many vacillations, the Israel Police and the Border Police stepped up their efforts in the Arab villages and neighborhoods, and this gradually subdued the intifada activity. The Israel Security Agency (Shin Bet) also deepened its involvement in Jerusalem and began to operate against what is known as “popular terror.” This, too, contributed to a decline in the violence. The wave of violence, which was given many names (the Third Intifada, the Jerusalem Intifada, the Children’s Intifada, etc. ), occurred against the background of a harsh chain of events, both close by and farther away: the kidnapping and murder of three Israeli teenage boys in Gush Etzion;39 the kidnapping and murder of the Arab teenage boy from Shuafat, Muhammad Abu Khdeir; Israel’s Shuvu Achim (Return, Brothers) operation to locate the kidnapped Jewish boys, which included a large wave of arrests of Hamas operatives in Judea and Samaria; and Operation Protective Edge, which dealt a severe blow to Hamas and its facilities in Gaza after ceaseless rocket fire at Israeli communities and cities. During these months dozens of Arabs were also attacked by Jewish rioters as intercommunal tensions spiked in Jerusalem. Eight Palestinians were killed in the city: six were terrorists who carried out attacks, one was killed during a disturbance, and the other was Muhammad Abu Khdeir. In the even more extreme wave of violence that came to be called the Second Intifada, from 2000 to 2004 about 600 terror attacks were perpetrated in Jerusalem (30 of them suicide bombings) that killed 210 people and wounded thousands.40 Most of the fatalities – 174 people – and most of the injuries resulted from suicide bombings on buses, cafes, and in the streets. At the same time, almost 50 percent of the attacks were shooting incidents, which killed 14 (not included in this number are the incidents in the Gilo neighborhood, which I will discuss separately). In addition, explosive devices were used 173 times, 11 cars with explosives were positioned in the city, 32 firebombs and 10 grenades were thrown, and 12 mortars were fired at the city.41 It was the building of the “Jerusalem envelope” barrier, along with the IDF’s return (in Operation Defensive Shield) to the villages and towns near the city for intelligence and preventive activity, that put a stop to this wave of terror. During periods in which Jerusalem suffered from terror, its tourism, industry, and trade sectors were hit hard. For years Palestinian terror was seen in Israel as a nuisance or an ongoing security risk, but not as a strategic risk. That situation has long since changed. It was the First Intifada and domestic terror that led Israel to sign the Oslo agreements, alter its longstanding positions, give up territorial assets, withdraw unilaterally from southern Lebanon, and disengage from Gaza. Clearly, then, terror has been more than an ongoing security risk. Beginning with the city’s unification in 1967, Israel adopted a policy aimed at casting east Jerusalem in a different light from the West Bank and at creating a different reality in the city as a whole.42 In Jerusalem it was the police, not the army, that played the role of the security representative of the state. In the capital of Israel during the first 20 years after the Six-Day War, the police and Border Police were cautious about using the curfew as a measure. An attempt was also made not to subjugate commercial strikes, and demonstrations by Arabs were dispersed with tear gas and not with live fire. In all the government pronouncements, and particularly in official events that the Jerusalem municipality organized, a clear attempt was made to show how Israeli sovereignty functioned in Jerusalem. For example, during the 1970s the inauguration ceremonies for the medical center at Sheikh Jarakh, or for the park in Silwan, became public-diplomacy events. Even after the waning of the differences that Israel had sought to emphasize between east Jerusalem and the West Bank, the east Jerusalem Arabs’ role in terror was relatively small and Israel tried to sustain special treatment of them. In security officials’ assessments, their low participation in terror stemmed from their fear of jeopardizing or losing the material benefits they enjoyed. These included child stipends, disability payments, unemployment payments, nursing insurance, old-age benefits, dependents’ stipends, entitlement to health services under the National Health Insurance Law, income-insurance stipends, the right to vote in municipal elections (which they preferred not to exercise), and more varied employment opportunities both in the city and in Israel generally. During the Second Intifada and the severe terror attacks in Jerusalem, this reality changed as well. According to a December 2004 report by the Intelligence and Terrorism Information Center, “from the beginning of 2004 to mid-November alone, 49 Palestinian residents of east Jerusalem and of the ‘envelope’ were arrested for involvement in terror operations.” In earlier years of the Second Intifada as well, over 200 east Jerusalem Arabs were arrested for terror involvement. Most of the terror activity in which “Jerusalemites” were involved was directed by the Hamas terror infrastructures in Hebron and Ramallah and by a terror infrastructure in Bethlehem. In the Jerusalem vicinity the neighborhood of Abu Dis stood out; its residents were involved in most of the terror organizations in the years of extreme attacks in Jerusalem. According to security officials, one factor contributing to this was the location of the Al-Quds University campus in Abu Dis, which became a meeting place for “Jerusalemites” and Palestinians from the territories. East Jerusalem Arabs continued to play a significant role in the mass-killing attacks in Israel, with an emphasis on Jerusalem, particularly in providing advice to terror infrastructures in Judea. Hamas stood out as the leading organization in recruiting and activating east Jerusalem Arabs, who took part in five suicide bombings in Israel (in which 64 Israelis were killed). East Jerusalem Arabs were involved in all the operational aspects of carrying out attacks: perpetrating attacks, intelligence gathering, receiving and dispatching terrorists, and identifying and recruiting operatives. Recent years have also seen dozens of severe attacks by terrorists who were east Jerusalem residents; we will note just a few. The March 2008 attack on the Mercaz Harav Yeshiva in Jerusalem, which killed eight students and injured ten, was carried out by Ala’a Hashem Abu Adhim, a resident of Jebel Mukaber in southeastern Jerusalem. The July 2008 vehicle-ramming attacks in Jerusalem were carried out by Ghassan Abu Tir, a 22-year-old resident of Umm Tuba in southeastern Jerusalem, and by Hussam Taysir Ibrahim Dawiyat, a 30-year-old resident of Tzur Baher in southeastern Jerusalem; together these two attacks killed three and injured 68. The Israel Security Agency (ISA) specifies 2008 as a turning-point in east Jerusalem residents’ involvement in terror. During the first half of that year, 71 Palestinian east Jerusalem residents were arrested on suspicion of involvement in terror activity compared to 37 Palestinians in all of 2007.46 In July 2008 a group of east Jerusalem residents, some of them students at the Hebrew University, were arrested. They had planned to form an Al-Qaeda infrastructure and carry out terror attacks in Israel. One of the detainees had explored the possibility of shooting down U.S. President Bush’s helicopter during his visit to Israel.47 The detainees from east Jerusalem were residents of Beit Hanina, the Old City, Jebel Mukaber, and Shuafat. The terror attacks in the second half of 2014, part of the “Jerusalem Intifada” onslaught of terror and violence, were also marked by east Jerusalem Arabs’ involvement. Here are a few examples. On August 4, Jebel Mukaber resident Muhammad Jabis carried out a ramming attack with a tractor, killing one person and wounding five. On October 25, Silwan resident Abd al-Rahman Shaludi carried out a vehicle-ramming attack at the light-rail station near the national police headquarters, killing three-month-old girl Chaya Zissel Braun and a 20-year-old immigrant from Ecuador, Karen Yemima Muskara. Four days later, on October 29, Muataz Hijazi of the Abu Tor neighborhood shot and seriously wounded 48-year-old Yehuda Glick. Hijazi was killed the next day in a joint police-ISA operation. On November 5, Shuafat resident Ibrahim al-Akri, a Hamas operative, perpetrated a vehicle-ramming attack next to the national police headquarters, killing two people and severely injuring several. Al-Akri was shot to death by border policemen. On November 18 two terrorists, Rassan and Uday Abu Jamal, cousins from Jebel Mukaber, carried out a massacre at the Bnei Torah synagogue in Har Nof, killing four worshippers and a policeman before being killed by security forces. Among east Jerusalem residents, then, motivation to commit terror attacks in Jerusalem exists in abundance. This is evident from the succession of attacks and the high proportion of east Jerusalem Arabs who take part in them. At the same time, several times more attacks are thwarted. There are many hundreds of preventions with arrests of terrorists in east Jerusalem neighborhoods and villages. Such preventions would not be possible without an Israeli intelligence and security presence in these places. Dividing the city would preclude an intelligence and security presence of this kind; yet it would not, as noted, remove the motivation of large parts of the Palestinian population to keep carrying out attacks. The following are some examples of successful preventions of this kind, which resulted directly from intelligence and security control of neighborhoods and villages from which the partisans of division want to separate. In September 2004, a suicide bombing was prevented that had been planned by a Palestinian dishwasher at the Filter Café in Jerusalem. In the summer of 2011, a terror gang was arrested that had planned attacks and kidnappings. Among its members were east Jerusalem residents, including Nasser Abu Hadir of Shuafat and Walid Habas of the village of Akav in northern Jerusalem. In May 2012, the ISA foiled a terror organization in Silwan whose members planned to kidnap soldiers and throw pipe bombs; that same month a grouping of the Democratic Front for the Liberation of Palestine was uncovered in the village of Isawiya next to Mount Scopus. In March 2012, four youths from the A-Tur village were arrested on suspicion of planning attacks on Jews. In January 2014, the ISA arrested two east Jerusalem residents who planned to fire at a passenger bus and detonate a suicide truck in Jerusalem. They also planned to perpetrate simultaneous bombings at Binyanei Ha’uma (the Jerusalem Convention Center) and the U.S. embassy on Yarkon Street in Tel Aviv. In September 2013, a gag order was lifted on the arrest of members of a Hamas infrastructure in Ramallah and Jerusalem who had planned a mass-casualty attack in the Mamilla Mall in Jerusalem. Among the detainees was Mahmoud Abu Sanina, a resident of Anata village in east Jerusalem who worked in the Old City, along with a resident of Shuafat. In April 2014, another terror gang from Isawiya was uncovered; and during the “Jerusalem Intifada,” the transfer of a large shipment of firecrackers to east Jerusalem was thwarted. The shipment was intended for an east Jerusalem resident who was supposed to substantially upgrade the capacities of organizers of riots in the eastern part of the city. The comparison clearly reveals that the suicide bombings that originated in Bethlehem were carried out while security control of the city was in Palestinian hands, whereas, when security control of the city was in Israel’s hands, only one suicide bombing issued from Bethlehem. Israel’s departure from villages and neighborhoods within Jerusalem will likely cause similar damage to the security forces’ capabilities and lead to an increase in terror attacks in the city. The capacity and pace of uncovering and preventing attacks will probably suffer similarly when there is poorer access to these neighborhoods and to intelligence there. The most tangible security danger entailed by dividing Jerusalem is that of light-weapons fire from the Arab neighborhoods at the adjacent Jewish neighborhoods. On September 28, 1995, Israeli Prime Minister Yitzhak Rabin and PLO Chairman Yasser Arafat signed the Oslo 2 agreement, which ended the first stage of the Israeli-PLO negotiating process and gave the Palestinians self-rule in the Palestinian cities of the West Bank and Gaza and in 450 Palestinian villages as well. In return, the Palestinian leadership ostensibly recognized the State of Israel’s right to exist and undertook to cease making use of terror. One of the towns that was transferred to the Palestinians and included in Area A, where both civil and security authority was given to the Palestinians, was Beit Jalla. This town is just outside the jurisdictional boundary of Jerusalem but abuts the Jewish neighborhood of Gilo, which is within the city’s jurisdiction. With the outbreak of the Second Intifada, shooting began from Beit Jalla at Jewish residential homes in Gilo. The shooting started in September 2000 and continued on and off until 2005. Sometimes it was continuous, every day for a few months. Sometimes it stopped for a few weeks, then began again. The shooting occurred day and night, with the aim of disrupting the residents’ lives as much as possible. The gunmen and their weapons enjoyed a supportive civilian and military backdrop thanks to territorial contiguity between Beit Jalla and other parts of Area A such as Bethlehem, Beit Sahur, or the Dehaishe refugee camp. They could access their positions for firing at Gilo at any time they wanted, and retreat deep into the Palestinian area at any other time. Whereas the Palestinians wielded civil and security control in these locations, the agreements with the Palestinians precluded the IDF and the Israeli security agencies from pursuing them. Dozens of Israelis were wounded by the firing on Gilo, most lightly and a few seriously. Thousands suffered from anxiety, including numerous children. The main damage was the disruption of the residents’ normal life; they feared to leave their homes, and some abandoned their apartments until the storm had passed. In that period the Gilo Bet, Haroeh, and Gilo Dalet schools went on strike several times, as did nursery schools in the vicinity. Some of the residents and some of the institutions lined their buildings with sandbags. Another significant element of the damage was symbolic: a major neighborhood in the capital of Israel was under fire for a number of years. During this time there were warnings of mortar fire at the neighborhood, and several times mortars were indeed fired at it. In March 2002, for example, a mortar fell on Ha’anafa Street but fortunately did not explode. When the IDF operated in Beit Jalla, which is in Area A, it did so under moral and political constraints. Beit Jalla is a Christian town with religious and educational institutions, along with churches, and sometimes the firing was done from within these buildings. The IDF strove not to harm religious and educational institutions or, for that matter, the population. Generally the Beit Jalla residents, many of whom left their apartments, were opposed to the shooting that was perpetrated from within their homes by terror gangs that had commandeered them. The Western world and the United States closely monitored Israel’s activity in this populated area and imposed constraints on it. Sometimes operational decisions were taken under political constraints. Israel gave protective reinforcement to many hundreds of homes in the Gilo neighborhood; by March 2002 the windows of 950 apartments on Ha’anafa Street had been bulletproofed. Another 700 unprotected apartments, however, were damaged by the shooting. Every few months the reinforcements were extended to additional areas. A stone wall was built in an attempt to obstruct or mitigate the hits, and particularly to give the residents a sense of security. The Jerusalem municipality’s welfare services were beefed up and made available daily to the residents in an attempt to soothe anxiety, provide help, and solve ongoing or specific problems. On December 1, 2000, shots were fired at a bus that was crossing the bridge in the Pisgat Ze’ev neighborhood, next to the French Hill intersection in Jerusalem. No one was hurt. Searches conducted in Beit Hanina, which is within Jerusalem, found a Kalashnikov automatic weapon beside one of the roads; it had been used for the shooting. On August 19, 2001, a six-year-old girl and a 20-year-old man were wounded by firing at an Egged bus on the Pisgat Ze’ev road. The firing was done from an adjacent hill. Riots in Shuafat after the murder of the Palestinian teenage boy Muhammad Abu Khdeir, July 2014. During the “Jerusalem Intifada” there were a few incidents of shooting from Shuafat at Pisgat Ze’ev. It was Israeli security control of the place that brought these to an end. In contrast, the shooting incidents from Beit Jalla at Gilo in the early 2000s went on for four years because the town had been transferred to the Palestinians. (Photograph: Sliman Khader, Flash 90). On October 18, 2001, a terrorist gang, all Jebel Mukaber residents, fired a few bursts of gunfire at the Oz police station and at homes in the Armon Hanatziv neighborhood. Also on October 6, 2001, the gang fired at a police patrol vehicle in the area. The four terrorists, who were apprehended in December 2002, admitted that they had also planned to shoot at a bus going from Armon Hanatziv to Jebel Mukaber. On September 19, 2004, shots were fired at Yitzhak Nissim Street in the Har Homa neighborhood. A bullet went into an apartment and caused minor damage. The shooting was apparently done from the Umm Tuba neighborhood. Unlike the persistent fire from Beit Jalla in Area A, these events remained isolated incidents because they occurred in places under Israeli sovereignty and control, within the boundaries of Jerusalem. Israel’s security and intelligence access to these places was immediate and ongoing, and this prevented gunmen from operating like the gunmen in Beit Jalla, where Israel did not have immediate and ongoing security and intelligence access. Although the Shuafat refugee camp was left outside the security fence and the route of the Jerusalem envelope, it remained under formal Israeli sovereignty. From many standpoints the area has become an ex-Israeli territory and a no-man’s-land, to which Israeli sovereignty applies formally while the different branches of government refrain from providing services to the residents or enforcing their authority there. At the same time, the Israeli security agencies continued to maintain a minimal security presence there by means of the Border Police, along with a significant intelligence presence. When the sporadic shooting from Shuafat at Pisgat Ze’ev began, the Israeli security and intelligence presence in the locale was deepened and widened. In the case of Shuafat, too, as in the built-up area behind Beit Jalla, a sympathetic population helped the gunmen find refuge and hide their weapons. And in the case of Shuafat, too, the contiguity between the camp, which the fence had de facto removed from Jerusalem, and the outskirts of Ramallah afforded a sympathetic civilian backdrop to which one could escape. The lack of an effective Israeli checkpoint between Shuafat, which is beyond the separation fence, and the West Bank made it easier for the gunmen. Nevertheless, the fact that the locale remained in Israel’s hands enabled the security forces to operate there with greater freedom, and the shooting incidents remained isolated instead of becoming an onslaught as in the case of Beit Jalla and Gilo. The shooting incidents from Shuafat at Pisgat Ze’ev occurred mainly from August to October 2014. A few private cars and houses were lightly damaged in Yosef Nedava, Eliyahu Meridor, Chaim Gevaryahu, and Yoel Friedler streets. The residents in the first row of houses had to hang laundry behind a shield.53 On Shabbat, August 23, an Israeli sniper force hit a terrorist who had fired at Pisgat Ze’ev homes and wounded him severely. The wounded man was taken by a Red Crescent ambulance to Hadassah Hospital in Ein Kerem.54 On July 7, at the start of the wave of violence, an isolated shooting incident also occurred in the Jebel Mukaber area; shots were fired at homes in the adjacent Nof Tzion neighborhood. A police force that came to the spot found five pistol casings.55 During the “Jerusalem Intifada,” fireworks were shot at the homes of Jewish residents on Shmuel Nakar Street, in addition to the throwing of stones and firebombs in the area. These incidents also originated in Jebel Mukaber. Light weaponry is currently in Palestinian hands both officially and unofficially. Hamas, Islamic Jihad, as well as the PA security agencies have Kalashnikov, M16, and Galil rifles. The Palestinians also have machine guns (mostly Russian) of longer range, up to 1.5 km. Military officials assess that the Palestinians in the West Bank currently have a total of 15-20,000 gun barrels, mostly rifles and some machine guns. Criminal elements also possess such weapons,56 and Palestinians also obtain weapons through thefts and trade with the Israeli crime world. In the case of a disengagement and division of Jerusalem, and the transfer of all West Bank territory, up to the new municipal border, to PA control, there would be no real difficulty in transferring these and similar weapons from well within the West Bank to the Jerusalem envelope, and from there to east Jerusalem neighborhoods and villages. The area in question is partially built-up, and there would be no hindrances or checkpoints on the way to the municipal boundary. The same occurred previously in Beit Jalla, Beit Hanina, Shuafat, and other places. At present Jerusalem is a crowded, intermingled Jewish-Arab, urban expanse. The distances between many of its Jewish neighborhoods and Arab neighborhoods that are candidates for “separation” are within light-weapons range – from dozens to hundreds of meters – and certainly within machinegun range. Especially given the precedents of ongoing shooting at Gilo from Beit Jalla and of potential light-weapons fire at Pisgat Ze’ev from Shuafat as illustrated in the second half of 2014, one must take into account the possible extensive use of light weapons against Jewish neighborhoods at many points of friction and proximity along the planned line of division, whose estimated length is 46 kilometers. Incidentally, the shooting at Gilo from Beit Jalla, which is adjacent but outside Jerusalem’s jurisdictional zone, was done both with light weapons and machine guns of the PPK type. More than once the machinegun fire came from within Bethlehem and was able to reach Gilo because of its long range. Farther back in the past there were isolated cases in which Katyusha rockets were fired, or an attempt was made to fire them, at Jerusalem. On August 26, 1969, for example, three Katyusha rockets were fired at the city. One landed beside Ganei Yehuda, the second in Katamon, and the third in an abandoned field. In searching Beit Sahur, IDF forces found another sixteen launchers ready for use. Thus the motivation to fight Israel exists, and it will continue to exist among many of the Palestinians even after any agreement on a division. Moreover, the precedents of light-weapons fire and attempts at mortar fire on Jerusalem are plentiful. In light of past experience, the difficulty of acting against activity of this kind and thwarting it, when one is outside of the places in question, almost needs no proof. Hamas talks about its plans explicitly. The PA and Fatah speak in one language to the Western world and the Jews and in another language to their own domestic population. There they uphold the “right of return” and the “Phased Plan” to supplant Israel. The statements are documented – written, recorded, and filmed. There is no point in denying the reality. The danger of division and exposure to light-weapons fire: Lehi Street alongside the Hyatt Hotel. Houses of Jews on the right, of Arabs on the left, and a street in the middle. It is worth noting further that both unilateral withdrawals and withdrawals carried out by agreement were interpreted by the Palestinians in the past as part of the victory of their strategy of terror. They concluded that this strategy was worth continuing so as to score additional achievements.66 Thus, after either a unilateral separation or a separation by agreement, the motivation to strike the Jewish neighborhoods will emerge both among radical Islamic elements who will oppose a settlement and among nationalist elements, who will see light-weapons fire as a way of pressuring Israel into further concessions on the issues of refugees, “Arab property in west Jerusalem,” holy places, and the like. The settled areas in the territories that were annexed to Jerusalem after 1967 created a dense urban continuity in which Jewish and Arab neighborhoods abut each other or are intermingled. In March 2000 a security official who was asked about the possibility of transferring three Arab villages near Jerusalem – Abu Dis, Azariya, and A-Ram – to Palestinian security control said: “Terrorist elements would be able to exploit the small distance, sometimes just the crossing of a street, to attack people or property. A terrorist can stand across the street, shoot at the Israeli side or throw an explosive, and it may not be possible to do anything about it. The border will be a road.” If that is true regarding neighborhoods that are outside the municipal jurisdictional boundary, it is all the more true regarding Arab neighborhoods that are within it. These “perimeter neighborhoods” abut or are very close to the Jewish “perimeter neighborhoods.” For every Arab “perimeter” there is a Jewish “perimeter,” and the public advocacy of those supporting a division tends to ignore this fact. The first Arab neighborhoods that are candidates for inclusion in a planned division are perimeter neighborhoods of that kind. In the north: Shuafat, Beit Hanina, and Isawiya. In the east: Ras al-Amud, Sawarha al-Arabiya, and Jebel Mukaber. In the south: Arav a-Sawarha, Umm Lisun, Tsur Baher, and Umm Tuba, along with the village of Walaja, only a minority of which is within the Jerusalem jurisdictional zone. At a later stage, the proponents of a division also speak of separation from more central locations such as Sheikh Jarrah, Wadi Joz, Bab a-Zahara, A-Tur, part of Silwan, and possibly even part of Abu Tor, Sharafat, and Beit Safafa. Here the proximity and sometimes intermingling with the Jewish neighborhoods is even more pronounced. The Clinton Parameters, which in the past had supporters in the Israeli government, even envisage possibly dividing the Old City, the Holy Basin, and the Temple Mount between Israel and the Palestinians. Light weapons: Kalashnikov – 400 m. M16 – 550 m. Various machineguns –1-1.5 km. Mortars – 82-mm mortar – 1.8 km. Improved 82-mm mortar – 4-6 km. Qassam-2 rockets – 9 km. The Palestinians in Gaza have much longer-ranger rockets, which they used during Operation Protective Edge in the summer of 2014. Those, however, are not relevant to our concerns in illustrating the danger to Jerusalem. As noted, so far the Palestinians have not succeeded to recreate in the West Bank their abilities to manufacture and launch mortars and Qassams from Gaza; but they attempt it ceaselessly. According to a report by the Intelligence and Terrorism Information Center (“Terror against Israel in 2006: Data, Characteristics, and Trends”): “The smuggling of weapons to terror organizations in the West Bank continued in various forms: weapons purchases; smuggling from Jordan via the Dead Sea and the Judean Desert; smuggling from Gaza and from Israel; stealing from IDF bases.” These efforts have not ceased in recent years. Shuafat – homes in French Hill: 275-500 m.
Shuafat – eastern Pisgat Ze’ev: 90-300 m.
Beit Hanina – northern Pisgat Ze’ev: 300-500 m.
Shuafat – western Pisgat Ze’ev: 400-500 m.
Shuafat – Moshe Dayan Boulevard (a north-south artery running through Pisgat Ze’ev): average distance 300 m.
Shuafat – Uzi Narkiss Street (a section of Road 60 that connects between northern Jerusalem and further north): dozens of meters. Isawiya – Mount Scopus: 70-200 m. The village is close to the university campus on Mount Scopus, to Hadassah Hospital on Mount Scopus, to the homes in the Tzameret Habira neighborhood (part of French Hill), and to the Jerusalem-Maale Adumim road. Before 1967 the village was part of the Israeli enclave on Mount Scopus. Wadi Joz – Adjacent to the roads that lead to Mount Scopus, and about 500 m from Kiryat Hamemshala in Sheikh Jarrah. >Sheikh Jarakh – Adjacent to Kiryat Hamemshala. 300-500 m from the memorial at Ammunition Hill and from the Maalot Dafna neighborhood. The area of Bab a-Zahara, Salach-a-Din, and Masuda – Dozens of meters to 500 meters from the neighborhoods of Mea Shearim, Beit Yisrael, Morasha, and Shmuel Hanavi. A-Tur, A-Sheikh, Wadi Kadum – Dozens to hundreds of meters from the cemetery on the Mount of Olives. In some locations: control of the roads to the Mount of Olives. Silwan – Dozens of meters from the City of David, the wall of the Old City, the Dung Gate, and the ascent to the Western Wall. Ras al-Amud – Hundreds of meters from the cemetery on the Mount of Olives. 1,000 m from the Old City. Beit Safafa – Actually absorbed into adjacent Jewish neighborhoods: zero distance. Sharafat – Teddy Stadium: 700 m.
Sharafat – Gilo: minimum range: 400 m.
Tzur Baher – East Talpiot: minimum distance: 200 m.
Jebel Mukaber – East Talpiot: minimum distance: dozens of meters. Umm Tuba, Tzur Baher – Har Homa: 1,000 m.
Wallaja – The main mall of Jerusalem in Malha, the Malha neighborhood, the Givat Massuah neighborhood, the track of the Jerusalem-Tel Aviv train, the Biblical Zoo: 2,500-4,000 m (not within light-weapons range but within mortar range). The Clinton Parameters proposed a division of the Old City and the Temple Mount between Israel and the Palestinians. The Muslim Quarter, the Christian Quarter, and part of the Armenian Quarter – The Jewish Quarter and the Western Wall: a range of zero, and from dozens to hundreds of meters. The Old City Wall – Yemin Moshe, Mount Zion, Mishkenot Sha’ananim, Mamilla, the Russian Compound, the center of Jerusalem: dozens to hundreds of meters. Other security officials made similar warnings. Based on data from the field and experience with the Palestinians in both the recent and more distant past, Israel cannot allow itself to separate from Arab neighborhoods unless the responsibility for security remains exclusively in its hands. If Israel retains such security responsibility, even if civil powers are transferred to the PA, Israel will continue to be seen as the party controlling these areas and as not really having separated from them. From the security standpoint, a separation in the foreseeable future is very dangerous for Israel and for the Jewish residents of Jerusalem. It is likely to create a potential for the Lebanonization of the areas, severe damage to security, and severe damage to the Jewish population’s sense of security. It should also be noted that, while the distances between some of the neighborhoods outside the Jerusalem jurisdictional zone transferred to the PA and adjacent Jewish neighborhoods are in a range of zero to hundreds of meters, the IDF continues to control these areas and prevents shooting and terror attacks against Jerusalem residents. For example, former ISA Director Yuval Diskin told the Foreign Affairs and Defense Committee of the Knesset74 that the IDF and ISA had uncovered a terror gang from Bethlehem just a day before it intended to fire mortars at Gilo or Har Homa.75 The members of the gang had among their weapons six mortars and an 0.3 machinegun. Despite its importance, this aspect is touched upon only briefly in this book and merits separate professional consideration. Twice in the recent past Jerusalem was subject to a state of war: in 1948 (the War of Independence) and in 1967 (the Six-Day War). Today it is commonly assumed that sooner or later a Palestinian state will be established and the jurisdictional boundaries of Jerusalem, whatever they are, will constitute part of the State of Israel’s border with this state. Control over access roads to the city must remain in Israel’s hands. The war over the city must be waged on the way to it, not within it. Amidror asserted that in a situation of war, the territory required to achieve these basic objectives is “12 by 12 kilometers,” and that Jerusalem’s current jurisdictional borders are insufficient to achieve these objectives. This book is not the place to specify those “territorial features.” It should just be mentioned that after the “disengagement” from Gaza, Hamas developed activity patterns of an army. One should also mention the events of the Second Lebanon War and the strengthening of Hizbullah, which has become an army. The focus of this book is Jerusalem, Israel’s capital. Likewise in the territories of the Palestinian state, the future neighbor of Jerusalem, elements identified with radical Islam live and work, and the potential exists (within a time range of a few years) for the emergence of a hostile army. The “new Middle East” – or the regional upheaval in which countries (Syria, Iraq, Egypt, etc.) have been disintegrating and frequently changing their regimes, all under the shadow of ascendant radical Islam headed by the new caliph, Abu Bakr al-Baghdadi, and the ISIS phenomenon – requires Israel to maintain a security presence in all the land west of the Jordan River, even if the PA is politically incorporated into some sort of arrangement. Such a presence is part of the eastern defensive configuration for Jerusalem, in case another state of war should emerge. 1 Lehrs, Masa u’Matan, 93. 2 The data are taken from a position paper on “Hofesh Hadiyur b’ Yerushalayim” (Freedom of Housing in Jerusalem), written by Jerusalem City Council member Yair Gabai in October 2011. 3 A summation of police, IDF, and ISA reports on this subject. 4 Diana Bechor, “Hamemshala Hikriza al Hareshut c’Yeshut Tomechet Teror” (The Government Has Declared the PA a Terror-Supporting Entity), Ynet, December 4, 2001. 5 Knesset Research and Information Center, background document on the terror organizations fighting Israel, September 2, 2004, 6. For example, Ibraham Chasuna, a member of the “Naval Police” who served in Nablus, carried out the terror attack at the Maariv Junction in Tel Aviv on March 5, 2002 (three dead and 31 wounded) in the name of the Al-Aqsa Martyrs Brigade; Ali Jiara, a member of the “Palestinian Police” from the Bethlehem region, carried out the suicide bombing on Bus 19 in Jerusalem on January 29, 2004 (11 dead and 50 wounded), also under the Al-Aqsa Martyrs Brigades’ aegis, http://intelligence.org.il/sp/c_t/sec/sec_fb.htm. 6 See abundant material at Palestinian Media Watch. 9 Nir Yahav, “Kach Shukmu Kochot Habitachon Bareshut Hafalestinit” (How the Security Forces in the Palestinian Authority Were Rehabilitated), Walla, March 28, 2012, http://news.walla.co.il/item/2520697. 10 Abundantly detailed at Palestinian Media Watch. 11 For an overview of Abbas’s statements on Safed, their significance, and the responses to them, see MEMRI (Hebrew): http://www.memri.org.il/cgi-webaxy/sal/sal.pl?lang=he&ID=107345_memri&act=show&dbid=articles&dataid=3255. 12 Ran Dagoni, “64 percent m’Hafalestinim: L’hei’avek ad Shichrur Falestin Hahistorit” (64 Percent of the Palestinians: Fight until the Liberation of Historical Palestine), Globes, June 29, 2014. 13 Khaled Abu Toameh, “Hareshut Hafalestinit Tovaat 7,000 Binyanim b’Maarav Ha’ir” (The Palestinian Authority Claims 7,000 Buildings in the West of the City), Yerushalayim, August 6, 1999, 36. 15 Hagai Huberman, “Shalom tmurat Lishkat Hasar” (Peace for the Minister’s Bureau), “Musaf Shabbat” (Shabbat Supplement), Hatzofe, August 20, 1999. 16 From a survey cited by Dr. Menachem Klein in Yuzmat Geneva: Mabat m’Bifnim (The Geneva Initiative: A View from Within) (Jerusalem: Carmel, 2006), 151-153; Palestinian Foreign Minister Riyad al-Maliki: “Ramon’s plan for a division of Jerusalem is not sufficient because he is not prepared to cede the Jewish neighborhoods: Ramot, Gilo, Pisgat Ze’ev, and the like,” December 11, 2007. 17 Report by Hagai Huberman, Makor Rishon, December 2, 2007, 7. 18 Reports on this subject by security officials. 19 Prof. Arnon Soffer, “Hageiografia Sh’me’achorei Heskemei Oslo: Sikunim Bit’choni’im” (The Geography behind the Oslo Agreements: Security Risks), lecture by Ephraim Eitan, Menachem Landau, Avi Becher, and Eli Hadar, University of Haifa, Department of Political Science. 21 Amira Hass, “Seker Daat Kahal Falestini: Haniyeh Gover al Abbas” (Palestinian Opinion Poll: Haniyeh Beats Abbas), Haaretz website, December 17, 2012. 22 “Seker bekerev Falestinim: Tmicha Goveret b’Hamas le’echar Hamivtza” (Poll of Palestinians: Growing Support for Hamas after the Operation), Ynet, September 2, 2014, quotation from Associated Press. 23 “84 percent m’Hafalestinim Tomchim Bapigua b’Yerushalayim” (84 Percent of the Palestinians Support the Terror Attack in Jerusalem), Walla, March 20, 2008, http://news.walla.co.il/item/1252350. 24 Nir Yahav, “54 percent m’Hafalestinim Tomchim Bapiguim” (54 Percent of the Palestinians Support the Terror Attacks), Walla, March 15, 2009, http://news.walla.co.il/item/1451936. 25 “32 percent m’Hafalestinim Tomchim Batevach b’Itamar” (32 Percent of the Palestinians Support the Massacre in Itamar), NRG website, April 6, 2011. The survey was done by experts from the Hebrew University in cooperation with senior members of the Palestinian Center for Policy and Survey Research, http://www.nrg.co.il/online/1/ART2/229/870.html. 26 Kol Yisrael website, December 10, 2014 (Hebrew), http://www.iba.org.il/bet/?entity=1060719&type=1. 27 Nadav Shragai, “13 Shana La’intifada Hashnia – Lama Ze Kara” (13 Years since the Second Intifada – Why It Happened), Israel Hayom, September 28, 2013, http://www.israelhayom.co.il/article/119287. 28 For more on the relative weight of the different factions in east Jerusalem, see Shlomi Bochnik, “Hamizrach Haparua” (The Wild East), Yediot Yerushalayim, July 25, 2014. 29 For a rundown of the terror attacks in Jerusalem since the Six-Day War, see “Kronika shel Teror” (Chronicle of Terror), Kol Ha’ir, March 1, 1996. 30 For more on the events of the “Jerusalem Intifada” and data on it, see, e.g., Friday issues of the local paper Yediot Yerushalayim from July, August, September, and November 2014, ongoing reports in Haaretz from this period, and a series of overviews of the violence in Jerusalem by Nadav Shragai that appeared in the “Yisrael Hashavua” (Israel This Week) supplement of Israel Hayom on July 18, September 12, September 19, October 24, and November 7, 2014. 31 Elisha Ben Kimon, “Memutza shel Shnei Eru’ei Tkifa b’Yom Neged Harakevet Hakala” (An Average of Two Attacks a Day on the Light Rail), Yediot Yerushalayim, August 22, 2014, 38. 32 Alon Sin-Moshe, “Harakevet Hakala – Madua Ovdot Rak 15 Rakevot m’toch 23” (The Light Rail – Why Do Only 15 Trains Work out of 23? ), Kol Ha’ir, August 29, 2014; Roi Alman, “Ha’alimut neged Harakevet: Kimaat Cheitzi m’Hakronot Nizoku” (The Violence against the Train: Almost Half the Cars Have Been Damaged), Yediot Yerushalayim, August 29, 2014. 33 Elisha Ben Kimon and Tzipi Malkub, “Chazarnu m’Aruchat Sheshi v’Kol Habayit Haya Menopatz” (We Came Back from the Friday Meal and the Whole House Was Wrecked), Yediot Aharonot, October 31, 2014, 26. 34 For more, see Yishai Porat, “Tznicha b’Mechirot, Yerida b’Tayarut Hapnim” (Steep Drop in Sales, Decline in Domestic Tourism), Yediot Yerushalayim, October 31, 2014, 50; in the same issue, Tzipi Malkub, “Mefachadim Lehagiya Liknot Mipnei Sh’ze Mizrach Ha’ir” (Afraid to Come and Buy Because It’s the Eastern Part of the City), 52. 35 “Musaf Mitaam Hareshut Hafalestinit Sh’Kotereto ‘Yerushalayim Birat Ha’intifada’” (A Supplement by the Palestinian Authority Whose Title Is “Jerusalem, Capital of the Intifada”), MEMRI, November 2, 2014. 36 Palestinian Media Watch, November 16, 2014, http://palwatch.org.il/main.aspx?fi=157&doc_id=12923. 37 Ibid., November 20, 2014, http://palwatch.org.il/main.aspx?fi=157&doc_id=13114. 38 Ibid., November 26, 2014, http://palwatch.org.il/main.aspx?fi=157&doc_id=13243. 39 On June 12, 2014, three Israeli teenage boys in Gush Etzion were kidnapped by Palestinian Hamas terrorists and murdered by them that same night. The bodies of the three, Gilad Shear, Naftali Frenkel, and Eyal Ifrach, were found west of the town of Halhoul on June 30, 18 days after the kidnapping, at the end of an extensive search operation. 40 From a report by the Intelligence and Terrorism Information Center, December 1, 2004. 41 Based on IDF and police data. 42 Shragai, Har Hamerivah, 340-343. 43 Report by the Intelligence and Terrorism Information Center, December 1, 2004. 44 Police and ISA reports on this subject. 45 A similar description of the strong connection between the east Jerusalem Arabs and the PA was given by then-Internal Security Minister Avi Dichter at a conference on the unity of Jerusalem at the Lander Institute, December 2007. 46 For details, see (Hebrew): http://www.terrorism-info.org.il/he/article/18435. 49 See at the ISA website (Hebrew): http://www.shabak.gov.il/publications/publications/pages/shotef210610.aspx. 50 An example out of many of the thwarting of an attack thanks to IDF control of the Jerusalem area is the exposure of the plan for a bombing attack on the Jerusalem-Tel Aviv rail line. Published in the Israeli media on January 17, 2008. 51 The data on the events in Gilo are taken from the Gilo administration, the Jerusalem municipality, media reports from that time, official announcements of the IDF spokesperson and the Israel Police, and from close familiarity with the events. 52 The documentation is based on police records and articles on the Haaretz, Yediot Aharonot, and Maariv websites. 53 See, e.g., a picture and documentation of this in Elisha Ben Kimon, “Biglal Pachad m’Yeriot: Tolim Kvisa me’achorei Maginim” (For Fear of Gunshots: Hanging Laundry behind a Protector), Yediot Aharonot, September 12, 2014. 54 Ido Ben Porat, “Niftza Kashe Mechabel Sh’yara l’ever Pisgat Ze’ev” (The Terrorist Who Fired at Pisgat Ze’ev Was Severely Wounded), Arutz Sheva website, August 24, 2014. 55 “The Week That Was,” Yediot Aharonot, July 11, 2014, 46. 56 Report of a security official. 57 Take, for example, Neve Ya’akov Street, which faces Palestinian homes at a distance of dozens of meters. 58 Already in January 2004 with the arrest of Fadel Taha, a Hamas operative from the Ramallah area, it turned out that the terror organizations were engaged in transferring to the West Bank the knowledge on Qassams that had accumulated in Gaza. See an ISA publication: Sikum Shnot Ha’imut: Netunim v’Megamot b’Teror (Overview of the Years of Conflict: Data and Trends in Terror), 24-25; see also there on the discovery of a laboratory for Qassam production in Beitunia; see also the ISA publication Sikum shel 2005: Netunim v’Megamot Bateror Hafalestini (Overview of 2005: Data and Trends in Palestinian Terror), 3: “Pe’ilut Irgunei Hateror b’Yehuda v’Shomron, l’Bitzua Tashtiot Emtza’ei Lechima Tlul Maslul” (Activity of the Terror Organizations in Judea and Samaria to Create Infrastructures for High-Trajectory Weapons). 59 Aruri, born in 1966 in the village of Arura in the Ramallah area, is a member of the Hamas Political Bureau and in the past was responsible for prisoners affairs. In the 1990s he was one of the founders of the Hamas military wing in the West Bank. In 1992 he was arrested by Israel and sentenced to five years in prison for membership in a terror organization. After that he served various prison terms. On March 30, 2010, he was released after 18 months in prison as part of an agreement with him and was expelled from Israel. Aruri then relocated to Jordan, and from there to Syria. In Syria he was elected a member of the Hamas Political Bureau, responsible for prisoners affairs. Aruri was a member of the Hamas negotiating team in the Shalit deal. Later, Aruri moved to Turkey, which gives Hamas political, declarative, and economic support. In Turkey he enjoys freedom of action and directs Hamas military-terrorist organizations in the West Bank. He is currently head of Hamas’ Foreign Headquarters for the West Bank Region (ISA, August 19, 2014). 60 See an article on Aruri from August 24, 2014, on the Intelligence and Terrorism Information Center website (Hebrew): http://www.terrorism-info.org.il/he/article/20706. 61 Breaking-news report, Ynet, May 6, 2010. 62 Ofek Eini, “Harashut Pashat al Machsan Neshek Gadol shel Hamas b’Ramallah” (The Authority Has Raided a Large Hamas Weapons Stockpile in Ramallah), http://news.walla.co.il/item/1746758, October 24, 2010. 63 “Meot Emtza’ei Lechima Nechsafu b’Schechem” (Hundreds of Weapons Uncovered in Nablus), IDF website, June 18, 2014, http://www.idf.il/1133-20805-he/Dover.aspx..
64 Gili Cohen, “93 Pe’ilei Hamas Chashudim b’Hakamat Tashti Teror Bagada” (93 Hamas Operatives Suspected of Setting Up a Terror Infrastructure in the West Bank), Haaretz website, August 18, 2014. 65 “A-Zahar: ‘Hamas Yeshachrer et Hagada kmo et Aza” (A-Zahar: Hamas Will Liberate the West Bank Just like Gaza”), http://www.israelhayom.co.il/article/241531, December 14, 2014. 66 See, e.g., “Abu Ala Me’iyem b’Intifada Chadasha” (Abu Ala Threatens a New Intifada), Arutz Sheva website, March 5, 2007. See also two studies by Palestinian Media Watch: “Shinui Mamash b’Yachas Hafalestinim l’Kdiyut Hateror” (A Real Change in the Palestinians’ Attitude toward the Practicality of Terror), Special Study no. 51, October 4, 2005; and on the same topic, Special Study no. 45, April 21, 2004. 67 Efraim Inbar, Ha’etgar Hafalestini mulo Nitzevet Yisrael (The Palestinian Challenge That Israel Faces), BESA Center, Bar-Ilan University, June 2007. 68 Based on map measurements and on familiarity with the locations. 70 “Seker Maagar Mochot bekerev Ha’ochlusia Hayehudit Ba’ir” (Maagar Mochot Survey of the Jewish Population of the City), Yerushalayim, December 29, 2000. 72 Those who met with him were Tzion Iluz, chairman of the Katamon Community Administration, Avi Alzam, chairman of the Shmuel Hanavi Community Administration, Ze’ev Lander, chairman of the Ramot Community Administration, Chaim Mordechai Weiner, chairman of the Ramat Shlomo Community Administration, Gabi Ganush, chairman of the Neve Yaakov Community Administration, and Eli Ben Chamo, chairman of the Pisgat Ze’ev Community Administration. This is based on documentation of the meeting. 73 Yerushalayim, December 29, 2000, 28. 74 He presented the information in February 2006. 75 Reports in the Israeli media, February 20-21, 2006. 76 Annex 7 of Yerushalayim: Zikot v’Gvulot (Jerusalem: Linkages and Boundaries), prepared by a professional team in 1982 for the Ministerial Committee for Jerusalem Affairs. 79 Lecture presented in a conference on the unity of Jerusalem at the Lander Institute, December 2007. 81 “Ha’aluf Biran: Rak Retzef Teritoriali…” (Gen. Biran: Only Territorial Continuity…), Maariv, February 25, 1996, 15.